There is a substantial body of evidence to show that men’s health and well-being issues need to be addressed as a matter of urgency. This broad range of research has highlighted the health difficulties which face men in Northern Ireland and further afield. This evidence clearly shows that men’s health could be improved in many significant ways. Men require support, encouragement and increased opportunities to do this. But service providers also have needs if they are to be effective in this field. Why do we need Men's Health West? What is our Value Base? o Promotion of good health for everyone this is fundamental to the process of realising gender equality. 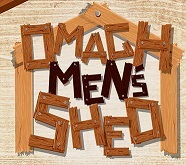 To promote cooperative activity across the Western Trust area that will help to raise awareness of male health issues and to advance the quality and quantity of work with men in addressing their health and well-being needs. The Western Health and Social Care Trust provides health and social care services across five council areas of Limavady, Londonderry, Strabane, Omagh and Fermanagh. It employs approximately 12,000 staff and spends £459 million annually on the delivery of a wide range of health and social care services to meet the needs of the local population. Membership is open to men and women, individuals and organisations, from statutory, voluntary, community and academic sectors, who have an active interest in men's work / issues and who can agree with the mission, value base and aim of this initiative. Iis a diverse network of individuals and organisations, men and women, from both Northern Ireland and the Republic of Ireland. The Forum was established in 1999, and operates on an all-island basis. It is, primarily, structured, organised and run using the expertise, resources and enthusiasm of volunteers. MHFI seeks to promote all aspects of the health and well being of men and boys on the island of Ireland through research, training, networking, health initiatives and advocacy. 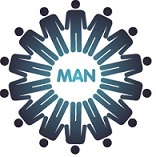 Men's Action Network (MAN) offers proactive support to men in time of crisis and/or safe spaces to explore voice and gain insight with the many life issues men face today. Fundamental to our work is addressing the isolation men feel, isolation that can in times of crisis lead to serious life consequences like addiction, depression, and in some extreme instances suicide. Core to our work is an ethos of prevention and intervention, recognising and supporting men and boys emotional, physical, mental, spiritual and social life experiences while striving to develop their holistic health and wellbeing. 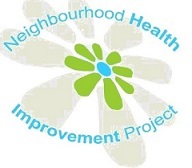 NHIP provides health improvement programmes across six communities within Strabane, Derry and Limavady. Our services are provided by a team of well qualified, experienced counsellors, who are BACP/IACP accredited and are supervised by accredited clinical supervisors. Relate counsellors are trained in a range of theoretical practice, including systemic practice, as well as specific areas such as domestic abuse and mental health issues. This equips them to deal with a wide range of relationship issues, in support of families and individuals. Parenting NI is a leading organisation, which has been supporting parents in Northern Ireland since 1979. The focus is on prevention and early intervention, and the organisation has a reputation for delivering high quality services. Parenting NI has developed its services based on the needs of parents.